Have you ever wondered how other Full-Time-Working-Moms (FTWM) cope with both family and children? Or perhaps you are contemplating switching to being a Stay-at-Home-Mom (SAHM) or Work-at-home-mom (WAHM) and you’re not sure what’s in store for you? This Tips for Moms – by Moms guest post series was conceived to acknowledge the fact that being a mum is no easy feat, regardless of the choice we made, to stay home, work from home or work away from home. Together with ELEVEN Singapore Mom Bloggers (that makes a total of 12 of us mummy bloggers! ), we will be sharing our childcare arrangements etc. to give you a full insight as to how everything is managed and of course share tips on how to strike that perfect balance and how to preserve sanity above all things. 19 Nov – Rachel Lim, a mother of two boys who became a work-at-home-mom after almost 6 years of sahm-hood, she pursues her passion in paper crafting and running an online store. Besides crafting, she blogs over at Rachel’s Live Journal. 20 Nov – Geraldine is a first time mother to X’mas eve baby Little Chuck, and wife to Big Daddy Chuck. She loves to take photos and documents her family’s adventures at Mommy Chuck through her blog, where she pens her daily musings and frames favourite pictures of her family, food and fun! 21 Nov – Dominique is a Singaporean elementary school teacher, professional blogger and mom of three who is passionate about parenting and educating kids. In her free time you can see her dabbling in photography, cooking and cake decorating and blogging at Dominique’s Desk. 22 Nov – Angeline and her husband started PrincessDanaDiaries as an online journal of the rewards and challenges they experience from a DINKY (Double-Income No Kids Yet) couple to a family unit whose home is filled with pitter-patter of their little daughter’s feet and endless laughters. Since becoming parents, their lives took on a higher purpose. As a working Mom with no home support, Angie has her fair share of hair-pulling days but she has since discovered some simple tips to keep herself afloat. 23 Nov – Amie, a full time working mother of three active young kids, she loves to express her views and feelings through writing and therefore created Mamamie’s Thots to note down her feelings, the growing phases of her three beautiful kiddos and she rambles about any interesting stuff that revolves around her family. 26 Nov – Winnie is a full-time-working mom to a girl and boy, aged 33 months and 9 months respectively. She home-teaches and is a firm believer of play and the great outdoors. She shares her parenting and home teaching adventures at Toddly Mummy. 27 Nov – Jennifer, or DinoMama as she is also known, is a spirited extrovert full-time working mum with a slow-to-adapt semi-extrovert hardworking, loving husband and a highly spirited extrovert independent 6 year old boy. She blogs about all this excitement in her blog We are the DinoFamily. 28 Nov – Jolin is a full time working mum to a toddler boy and wife to a wonderful husband. 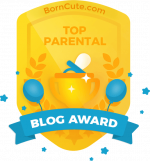 She blogs at The Js Arena, where she shares about the development of her growing-way-too-fast boy, activities they do together as a family and all things fun. 30 Nov – Pauline is work-at-home-mom to two young and active children. A teacher, cook, baker and crafter, she loves to make things with her hands and is constantly seeking new adventures and fun in her journey as a mom. She blogs over at MamaBliss. 3 Dec – Sandra blogs over at SANses.com, where she chronicles her life as a full-time working mother of two toddler boys. Once a fancy-free girl, life is now chock-ful of quips, questions, dinosaurs, trucks and trains. From pregnancy to handling newborns and now facing two talkative toddlers, Sandra shares the joys and challenges of motherhood. Parenting, after all, is a road best travelled with good company and a healthy dose of humor and perspective! Her motto in life: Outsmart … or be outsmarted by the two boys! 4 Dec – Angeline is a stay-at-home-mom to two wonderful children (that’s me if you haven’t already realised!). A former school teacher, her passion to teach has not fizzled and has been instead channelled to teaching her children, who on the other hand, are constantly teaching her about life. She maintains her sanity amidst the everyday chaos at home by blogging about her parenting and culinary adventures at Simply Mommie. This entry was posted in Tips for Moms. Bookmark the permalink.